How much is Chris Hardwick Worth? Chris Hardwick Net Worth: How rich is Chris Hardwick? & How much money is Chris Hardwick worth? Time to find out! 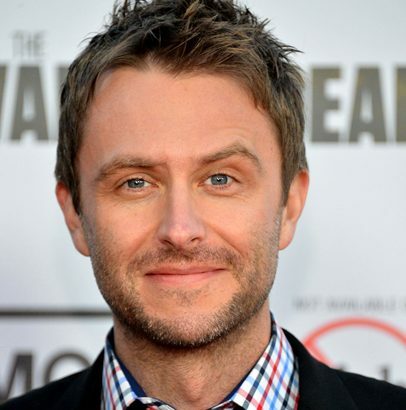 Chris Hardwick is an American stand-up comedian, actor, voice actor, television host, writer, producer, podcaster, and musician and his current net worth is $10 million. Born in Louisville, Kentucky as the son of real estate agent Sharon Hills and professional bowler Billy Hardwick. His parents met at the bowling alley of his maternal grandfather. He met comedian and television personality Joan Rivers as a child and became long life friends with her. Chris grew up in Memphis, Tennessee where he was Chess Champion in 1983 at his High School. His family later moved to Colorado and California. He started as a LA radio DJ in the mid-1990s and appeared in the comedy Guys Like Us, getting him into hosting. And went on to hosting the MTV game show Trashed and co-hosted the MTV game show Singled Out with Jenny McCarthy. Here is where he met Jacinda Barrett and the two got engaged but never married. During the premiere run in Los Angeles of Rock of Ages, he starred as Stacee Jaxx. His popularity grew as a host of G4’s Web Soup in 2009, a spinoff of The Soup on E!. Since 2010 Chris hosts and produces The Nerdist Podcast with his comedian friends Jonah Ray and Matt Mira. Rolling Stone named the show one of the 10 best comedy podcasts. Chris started hosting Talking Dead in 2011, a live aftershow for The Walking Dead. In the show he interviews celebrity fans of the show as well as cast and crew. In 2011 Chris published a self-help book, The Nerdist Way: How to Reach the Next Level (In Real Life). His company Nerdist Industries was acquired by Legendary Entertainment in 2012. Chris is now the co-president of Legendary’s digital business. He voiced a variety of animated characters in different projects such as The Batman, The Legend of Korra and Sanjay and Craig. In his stand-up he talks about being a nerd, the entertainment industry and being a recovering alcoholic. He toured with Joel McHale and in 2012 he released his first one hour stand up special Mandroid. In 2016 he released his next special for Comedy Central, Funcomfortable. He is also a part of a musical comedy duo Hard ‘n Phirm with his friend Mike Phirman. Chris married model, blogger, heiress and actress Lydia Hearst on August 20, 2016. This wraps up our Chris Hardwick Net Worth profile! How much is Jared Leto Worth?